Are you ready for the ultimate dove hunting experience? 210-260-3355 - We are taking reservations for the 2013 dove season. Open weekend was full by June last year so don't wait to make your reservation. There are a lot of good dove hunting leases in Texas, and we want you to experience some of the best. 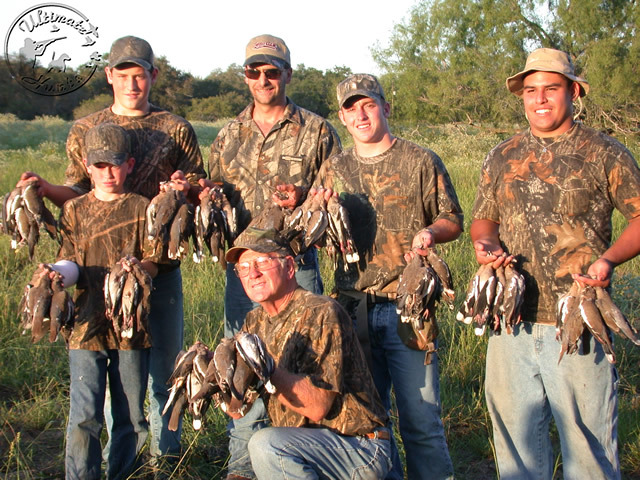 Kinney Farms offers some of the best dove hunting in the entire state. What makes Kinney Farm's leases such a good place to hunt Morning and Whitewing Dove? First, there is an enormous amount of local dove in the area. Second, Kinney Farm's leases are located in a direct flight pattern for dove. Lastly, dove like open cultivated fields with easy access to water. Many of Kinney Farm's leases have exactly that. Most of the leases are in the center of a farming communities. Surrounded by cultivated fields. These hunting leases are ideal for dove. Kinney Farms has leases located in Bexar County, Medina County, Karnes county, Atascosa County and Frio County Most lease are 10-15 minutes from San Antonio. We have a few leases located just outside San Antonio, Somerset, Pleasanton, Lytle, Floresville, several leases just west of San Antonio and a few leases south of San Antonio. According to Texas Parks and Wildlife officials Bexar County probably has the largest concentration of whitewing dove in the entire US. We are one of North America's premier outfitters with great locations to hunt both morning and whitewing dove. In late July 2000, Gary Waggerman whitewing dove coordinator for the Texas Parks and Wildlife visited a few of our leases in Bexar county to make whitewing dove counts. The San Antonio area is reported to still be the largest concentration of whitewing dove in the entire United States. Texas Parks and WIldlife will set the seasons later this year. Shooting hours are one-half hour before sunrise to sunset. "We had a great time and will never forget it, it was the "ultimate hunt". We are actually all planning on coming back next year.
" Everyone just didn't beleive us when we told them about the 1,500 to 2,000 birds we saw. It was just incredible." 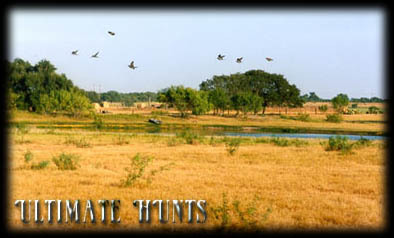 Ultimate Hunts will require you to execute a waiver of liability and indemnification upon your arrival. Copies of indemnification agreement may be requested in advance.